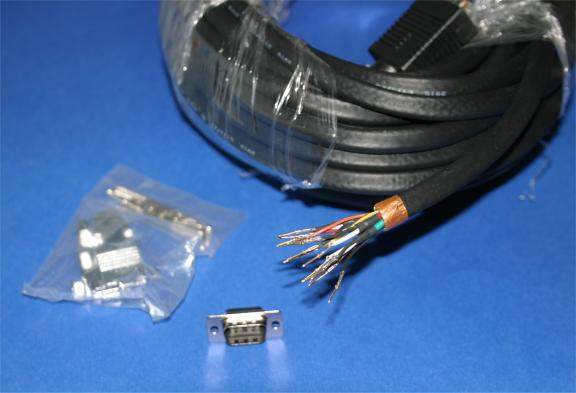 Super VGA 100ft M-M. Video Cable Used to Attach Hi-Resoultion Monitors. Removed HDDB15 End Allows installation in Conduit or throught Small openings. Pre Tinned Wires are easily pushed into the connector to make a permanent connection. No secondary Signal loss via additional connectors in the cable. This design is superior to those that use an additional connector 1ft down the cable. Includes Wiring Guide and Metal Hood. Engineered for Professional Video Application. This cable is designed for best color saturation and, Black level, and Picture Detail in Mind. 5 Coax 75 Ohm Cable with UL2919 Specs. Pin 9 is wired throught for special applications. Minimuim Hole Size for feed throught is 1/2 Inch Conduit.